If you ride alone in your basement and don't post it to Strava, did you really ride? Earlier this year several of us from Bike Law picked up the Wahoo Fitness Kickr trainer. 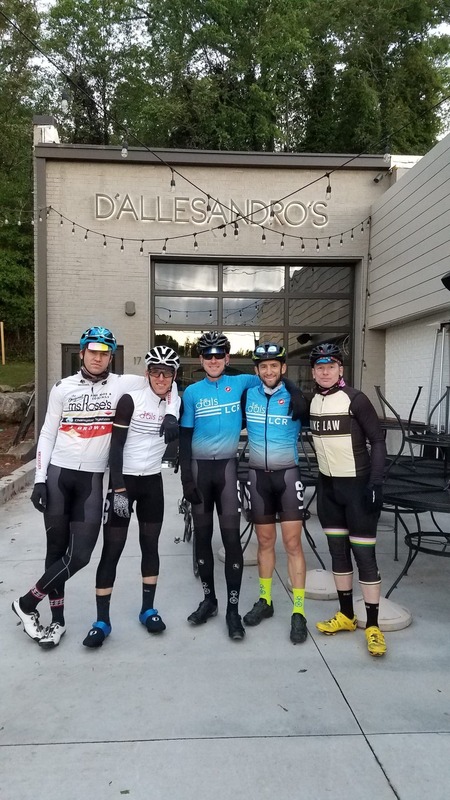 Personally, as a time-strapped mom that lives in Colorado, I loved the idea of riding with Bike Law teammates from across the country in a virtual world during my night rides in the basement and getting the most bang for my buck out of the available time I have to ride. Now, my previous setup wasn’t anything to sneeze at. For the past 5 years, I have been using a reliable Kinetic RoadMachine, and a PowerTap power meter. I was ahead of the curve compared to most training friends until these new “smart” trainers entered the market 2 years ago. These valedictorian of trainers really are tremendous. They are changing how people view indoor training and can give people a competitive advantage to come out of the gate well conditioned for the first race of the season. What makes them smart? When you connect the trainer to your computer or compatible phone/tablet device then an app or predefined workout can control the resistance on your trainer and provide a real life feel to your pedals. If your course points up and the grade gets steeper then the resistance gets harder. You can ride virtually with friends around the world in a video game like Zwift. If you are tucked in behind a buddy drafting then the resistance gets easier and mimics a real life draft. There are group rides, races and challenges within these cycling video games that can get very addicting! It really is incredible to see how training has changed and with each software update what these smart trainer manufacturers are able to achieve. The Kickr Trainer from Wahoo isn’t cheap at $1,200. It comes with the robust trainer, a new 11-speed cassette pre-installed, skewer, and a bag of small parts that include a cadence sensor for your crank or shoe, a disc brake block and a 10-speed spacer for the freehub if you happen to be running a 10-speed bike. The trainer can accommodate a rear wheel size of 24″ RD / 24″ MTB / 650c RD / 26″ MTB / 700c RD / 650b MTB / 29″ MTB. The axle nut comes preinstalled in the 130mm position for road bikes and can be flipped over to work with 135mm spaced bikes. They even make a 142×12 Thru-Axle with an adapter for your mountain bike. They do make a Campagnolo freehub for you Campy nerds! You may not know it, but in my previous life was a bike mechanic, racer and bike industry nut. I’ve tested out a lot of product, warrantied a lot of product, and put many miles on Kinetic, Saris, and CompuTrainer products. I have only put about 500 miles on the Kickr so I can’t speak to the durability yet, but I can discuss the build quality. First, this trainer is solid. It comes out of the box at 47 pounds. Thankfully, it has a nice carrying handle for transport but I personally won’t be taking this to cyclocross races for warming up. A review of the Feedback Omnium to come for that purpose. The power plug is relocated to the back of the trainer compared to the first version I tried a year ago that was tucked up under the trainer. I personally unplug my trainer after each ride and like the easy access to the plug. The 12.5 lb flywheel is somewhat exposed as is the Gates carbon drive belt that connects the flywheel to your freehub and cassette. As a mom of a curious toddler, I wish this was completely covered, or there was an option to buy a cover. This is one advantage the Tacx Neo has with their enclosed unit. The accuracy of the Kickr is close to my PowerTap but it seems to me that it doesn’t respond as instantly to the pedals. This is maddening for short power intervals but not a make or break problem. Updating the Kickr is very simple to do with a smartphone connected via Bluetooth. I do recommend signing up for forums or Kickr Facebook groups to know when these updates happen or regularly check in on the app for notices. My Kickr initially was having problems “spinning out” during intervals, and once I received the latest update it removed the bug completely. This is a common hangup for many people. I personally used a Bluetooth connection between the trainer and my computer for the first two weeks of using a Kickr and had some drop out or slow sensor connection issues. A friend finally told me to use an ANT+ USB adapter and since then my Kickr hasn’t experienced any drop outs during intervals and the sensors connect immediately. If your computer is a few feet away I also recommend picking up a USB extension cable. Stick to using Bluetooth when pairing with your phone and always use ANT+ when possible! I haven’t used any phone apps with my Kickr and would love to hear from you what your favorites are! Who really wants to ride over 20% up hill? 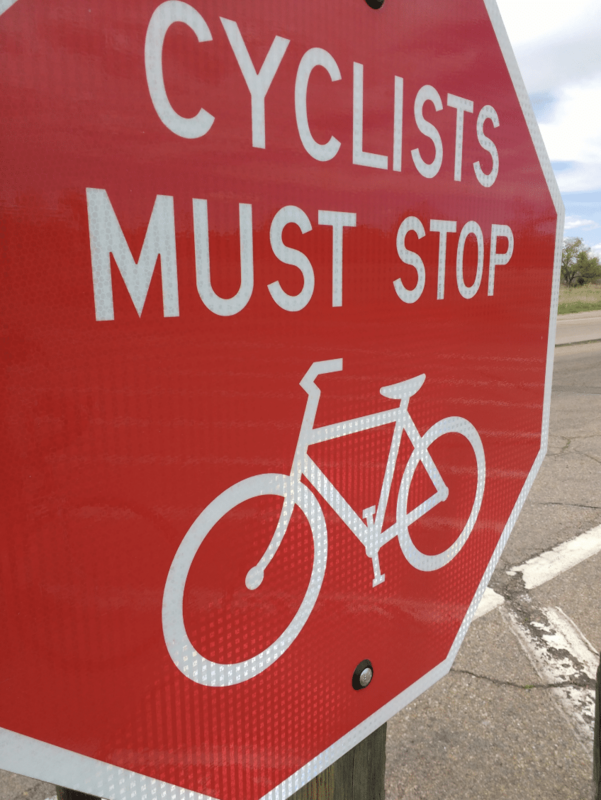 This is pretty good for most average cyclists. If you are a category 2+ racer you will hit the ceiling but for us mear mortals we will never see 2,000 watts. The Kickr is about the same noise as my fluid trainer with a trainer tire. I haven’t actually measured the decibel level between the two. If it’s important, let me know and I’ll hook them both up! Should You Buy a Kickr? This is a common question I’ve been getting from friends and training mates. Here are the categories I see people fitting in. You want the best. You want to fit in and want to do whatever GCN or VeloNews tells you to do. BUY IT. You ride (or are interested in riding) a lot inside and want to mix it up with group rides, races, and virtual scenery. BUY IT. You are time constrained and want to get the most out of your workouts. I believe the Kickr is HARDER than a standard trainer because you must keep pedaling at all times. You can get a solid workout in within 45 minutes and call it a day. BUY IT. You are a racer. If you do NOT have a power meter on your bike, buy that first. If you do have one then look at 1, 2 & 3. You only ride inside when it is terrible out and proud of it. This is probably not for you. It may cause conflicting opinions on what you stand for and make you lose that “hard man” attitude. DON’T BUY IT. Your buddies have it. BUY IT. Ride virtually with them and never lose a beat. You are debating between this and new x, y, z gear. This is a difficult question to answer without knowing what you are possibly buying. Put these questions in the comment section below! Once I hit the 1,200 miles mark on the trainer I’ll be back at it with a full review. This will give me time to wear out the cassette, test out various programs and see if people are still interested in the indoor training scene when it gets nice out across North America. I also think this is a good time to evaluate as the cost per mile will be at $1 (give or take shipping cost) and will allow me to say if it was truly worth the upgrade.